The interpretive trail starts on a hillside and leads down to a lagoon habitat of migratory and resident birds, amphibians and reptiles. 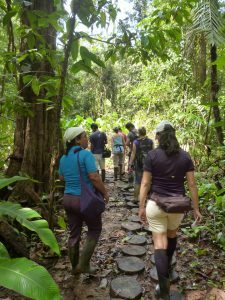 It takes you through primary forest, secondary forest, and other vegetation such as walking palm, palmiche, giant zapotero, ceiba and baco trees, strangler figs and the ojoche tree, which is considered a national icon. 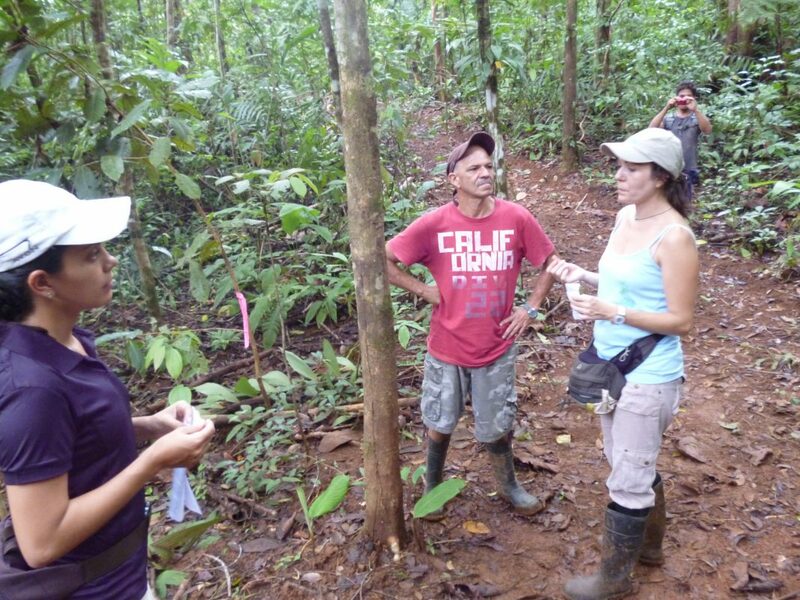 This November we hosted a group of guides from Puerto Jiminez who visited the trail and gave us their suggestions for making it public to tourists and students from local schools who will receive a guided tour and carry out environmental education activities. deer, agoutis, ocelots and pumas. 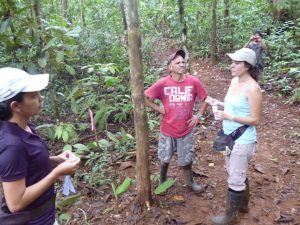 This entry was posted in Community Outreach, Land Conservation and Forest Restoration and tagged Bernal, Conservation, interpretive trail, land, osa, Pilar. Bookmark the permalink.